Queer Eye’s Karamo Brown. Brown’s event will focus on creating success from each individual’s unique traits. 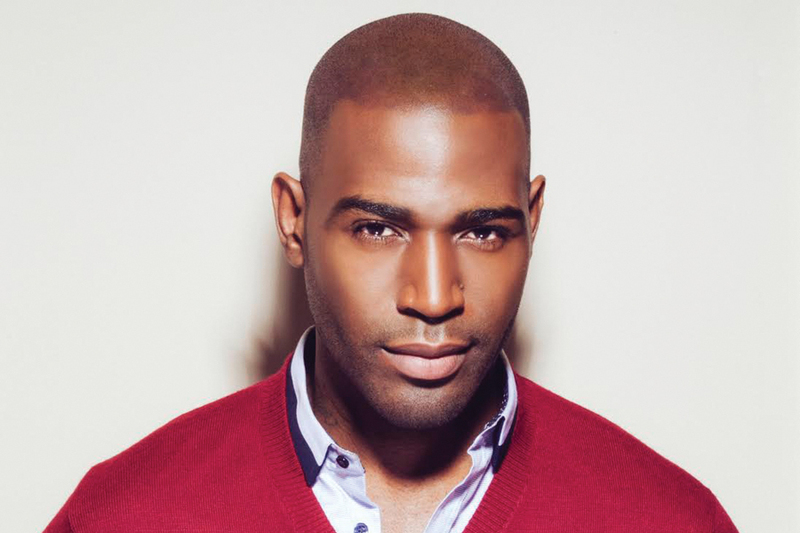 Social worker, television personality, activist and father — these are all words that come to mind when thinking about Karamo Brown, resident culture expert and core member of the “Fab Five” on Netflix’s “Queer Eye.” Next week, Brown will show how he has combined these identities to succeed during an event in Evanston. During “Know Thyself: Your Uniqueness Creates Success” at Evanston Township High School, Brown is set to speak about his journey with these intersections of his identity and how he brings out the strengths in each one. The event is presented by the Family Action Network in conjunction with multiple other organizations, including the Family Institute at Northwestern. Lonnie Stonitsch, executive director of FAN, said Brown aligns with FAN’s mission of human development. He acts as the “investigator” of the show, she said, by going into a person’s home and learning their habits through their environment. Stonitsch said this practice helps him counsel the makeover recipient so they can better themselves both physically and mentally. Through this, she hopes the audience can learn to break out of toxic habitual behaviors. “He gives a nice insight at how people can make the most sense of their lives and try to put together good versions of themselves,” Stonitsch said. Most of all, she said, Brown is passionate about pushing people to take positives steps forward in their lives. Stonitsch said Brown will appeal to a broad audience, from ETHS and NU students to the larger Chicago and North Shore community. Attendees can purchase “Queer Eye: Love Yourself, Love Your Life” — the recently published book written by the Fab Five — and Brown will be available for a book signing, she said. Brown’s message of self-improvement also resonated Youth and Opportunity United, an agency that tries to close the opportunity gap between students. Krysta Michorczyk, an advancement officer at Y.O.U., said they chose to sponsor the event because ensuring an opportunity at success for all youth is a key part of their mission. “He has used his unique gifts and talents to figure out who he is and create success from that, so I think he will be an inspiring speaker for our students,” she said. Michorczyk said both Y.O.U.’s staff and students have had an extremely positive response to the event, and have requested around 40 seats for the event. Because many of their students and staff are at the beginning of their professional lives, the event will allow them to explore what unique talents they could turn into a career, she said. The talk will take place on December 5 at 7 P.M. and will be free of charge. This mindset is not exclusive to Y.O.U.’s staff — Nicole Parker is a SESP professor and the chair of the history and social science department at ETHS. She agreed, saying she is bringing her NU students for that same reason. Parker’s students are about to complete their student teaching requirements, an experience she said is both “stressful and rewarding.” Parker said she hopes Brown can impart some words of wisdom the students can use as they begin this next step in their careers.